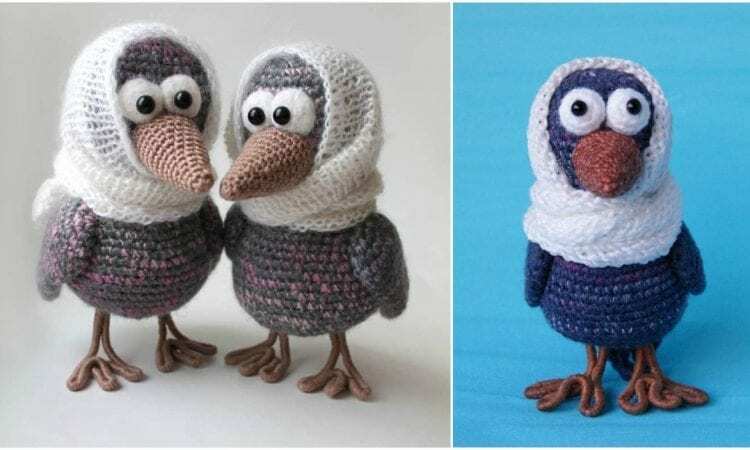 These cute crows will be a perfect addition to your amigurumi collection or a unique gift for someone special. They are very curious to meet you! They are easy to make, and are definitely on time for the winter weather. The wire feet make it possible to stand them up and use them as part of a larger display. Snowy Crows – Free Crochet Pattern is here. Don’t forget to Like us on Facebook. Share your ideas and your work on our Facebook group!